Lantai CM-8823 thickness gauge in the following four different quotes: quoted in Wenzhou area is 1690-2110 yuan, quoted in Shanghai area is 1400-2178 yuan, quoted in Dongguan area is 1718-2080 yuan, in Guangzhou area The price is 1700-2078 yuan. The eddy current sensor measures germanium, rubber, paint, and plastic layers on substrates such as copper, aluminum, zinc, and tin. 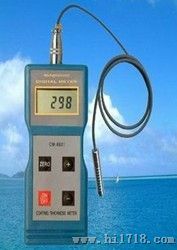 Widely used in manufacturing, metal processing, chemical industry, commodity inspection and other testing areas. Previous: Where does the market chaos and fake multi-parts companies go?